Our theatre is a great venue for unique theatrical experiences for parties and celebrations. 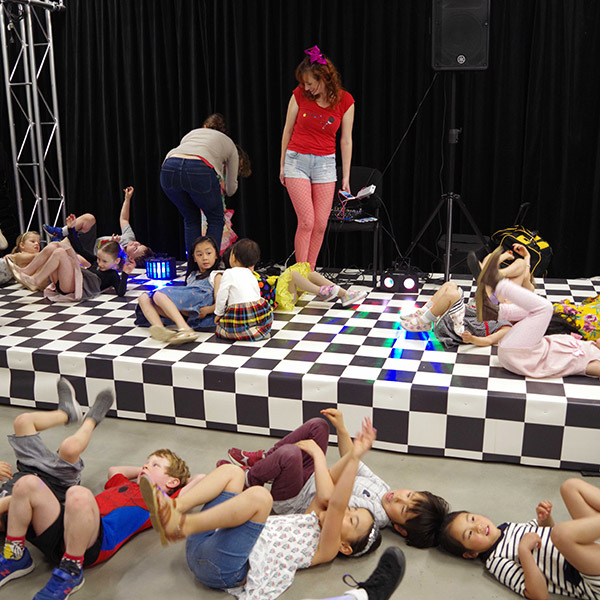 We can accommodate up to 65 and seat 60 people, for kids parties, mitzvahs, corporate events, training, product launches, fundraisers and more. We can assist with every detail from invitations right through to entertainment. Paid parking is available on site. On street parking with day and times restrictions is also available on the surrounding side streets. If you are curious, get in touch with us for details.